Along with the 200 proof Lutheran sermon on the Reformation that Dr. Rod Rosenbladt delivered for us this past Sunday, he also brought with him a brief bulletin insert entitled, Teacher and Lord by John R. W. Stott. 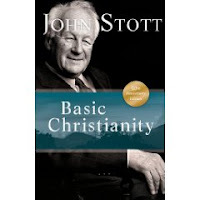 Much more could be said about Stott's contribution to Christian apologetics and evangelism. And though Lutherans have some points of disagreement with him, he was a modern representative of Lewis's Mere Christianity. Here's the text of the insert, originally delivered at a Missionary Convention in Urbana, Illinois, 1964. His words on the authority and inspiration of Scripture were, no doubt, controversial at the time, and may be so today in the halls of Christianity. But they are nevertheless true and good words to remember. These are also fitting words when we recall what Luther and the Church struggled with (and continues to do so to this day) at the time of the Reformation. Who is your source of authority, Jesus or someone or something else? The Christian is under both instruction and authority. and as his Lord to command him. because Jesus said to do it. our minds to his mind. is derived from Jesus Christ. What did Jesus Christ teach about these points? and inspiration of the Old Testament. that he disagreed with the Old Testament writers. 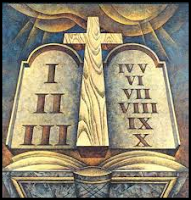 He regarded the words of the Old Testament writings as being the words of God. and sought to apply their principles. He regarded Scripture as the great arbiter in dispute. to teach in his Name. and would show them things to come. to what he did in the Old Testament days. is due to the inspiration of Scripture. Are authoritative in our lives because they are in fact inspired. 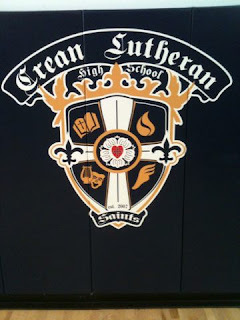 Today I had the joy of delivering the chapel message at Crean Lutheran High School, Orange County's other Lutheran High School. Great group of kids there and what appears to be a caring, educated and dedicated faculty. What follows is a bit of the expanded version I wrote up yesterday and used many of the highlights this morning in a condensed version. The snippets from The Hammer of God by Bo Giertz are longer in here than they were at chapel, but the full conversation is too good not to post along with the rest. Under the Mercy. Ok. First thing’s first; I need you to close your eyes. I know, it sounds a bit elementary. But play along with me. “Knock! Knock! Knock! (sound of hammer hitting wood). Now open them. What do you think of when you hear that sound? A knock on the door? An obnoxious salesman? Two guys in black ties and bicycles? Kids looking for tricks or treats? Well, if you thought of a hammer and a nail and a door you were right. That was the sound heard round the world 495 years ago tomorrow, October 31 1517. 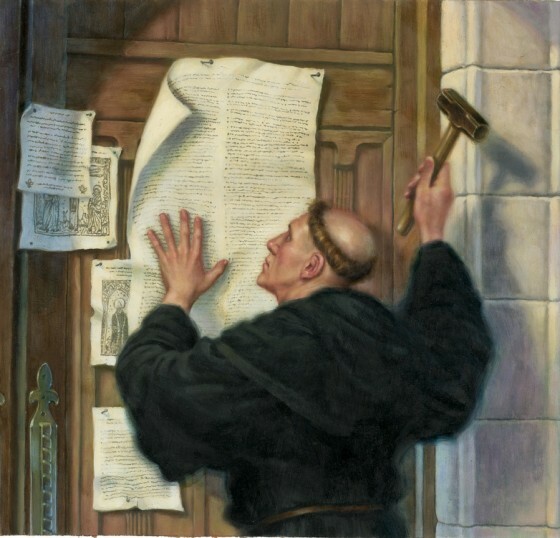 This was the date Martin Luther posted his famous 95 theses on the church door in Wittenberg. The church door was like today’s bulletin boards – or better yet, twitter or facebook. If you had information you wanted everyone to know about – that’s where you posted it. You buy one of these indulgences – a piece of paper guaranteed by the Pope himself, given out by John Tetzel and sold to the people granting them partial, and in some cases plenary – or full – remission of their sins and the sins of their relatives. Instant freedom from purgatory. Problem is, the more Luther searched the Scriptures for answers, the less he found man’s works – including indulgences or anything else – a contributing factor. There aren’t enough indulgences to pay off the kind of debt our sin has racked up. In fact, there’s only one thing we do bring to our salvation and that’s sin. The rest is all Christ. 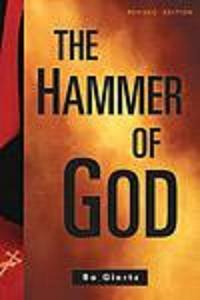 But The hammer stroke that fell on October 31, 1517 goes to the very heart of what the Reformation is all about, answering that question: how can sinners, dead in trespasses stand before a holy righteous God? On the basis of works or merits or slips of paper or coins or anything we do? No. Not at all. Rather it is solely by the grace of God through Christ – a righteousness manifested to us apart from the Law, Paul says – that assures us of heaven, life, salvation, forgiveness and all other good gifts of Christ. That knock! Knock! of the hammer wasn’t only about the sale of indulgences. It was the Christ’s Gospel beginning to break Luther out of his prison of despair. After Luther put the hammer away, he picked up the pen and the Scriptures. And he found therein the grace of our Lord Jesus Christ who though he was rich, for our sakes became poor. He found a Savior who rescues rebellious sinners by being numbered with them. He found a redeemer who exchanges everything he has – holiness, eternal life, righteousness and takes all that we have – sin, death, guilt. He found the God who knew no sin, yet for our sakes became sin. He found Christ Crucified and the hope that comes from knowing that Christ justifies the ungodly. That was Luther’s comfort and it’s ours. This is the message that still rings throughout the entire Christian church. And that’s what drove Luther’s hammer. It may have taken him years more to discover the full weight of the Wittenberg post but it all began with the swing of a hammer. ...Katrina, I am a sinner, a great sinner. Yes, that you are Johannes. But Jesus is a still greater Savior. ...Yes, he is a great Savior for those who let themselves be saved. But my heart is not clean, my mind is evil; I do not have the new spirit. They that be whole need not a physician, but they that are sick. He came not to call the righteous, but sinners. Yes, Katrina, but it reads 'to repentance'. It is repentance that I lack. You do not lack repentance, Johannes, but faith. You have walked the way of repentance for thirty years. And still not attained to it! Johannes, said the woman, almost sternly, answer me this question: do you really want your heart to be clean? Yes, Katrina. God knows that I want that. Then your repentance is also as true as it can be in a corrupt son of Adam in this world. Your danger is not that you lack repentance, but that you have been drifting away from faith. What, then, shall I believe, Katrina? You must believe this living Word of God: 'But to him that worketh not, but believeth in him who justifies the ungodly, his faith is counted as righteousness.' Up to this day you have believed in works and looked at your own heart. You saw only sin and wretchedness, because God anointed your eye with the salve of the Spirit to see the truth. Do you have sin in your heart, Johannes? Yes, answered the sick man timidly, much sin, altogether too much. Just that should make clear to you that God has not forsaken you, said the woman firmly. Only he can see his sin who has the Holy Spirit. ...Have you anything else to say, Katrina? Yes, on more thing, Johannes. Behold the Lamb of God who takes away the sin of the world. Do you mean...? Do you really mean that he takes away also the sin that dwells in my unclean heart? ...Amen, I believe! said Johannes in a voice that could barely be heard. Katrina rose and put the Bible on the table. Now God's work has taken place. Now you must ask the pastor to give you the holy sacrament. And you know what else comes to mind when we hear that Knock! Knock! Knock! of the hammer blow? The hammer. The nails. The wood. The hands. The feet. The wounds. 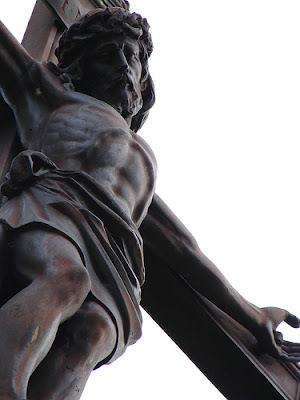 Christ Crucified. For you. The sign of your salvation hung over Jesus’ head. Here hangs Jesus of Nazareth, King of the Jews. Your sins are forgiven. Your debt is paid. His wounds are for you. His death is for you. The only indulgence you need is the flesh of Jesus. There’s your guarantee of eternal life. On the cross. Sealed in blood. Vindicated by his resurrection. Poured over you in Baptism. Spoken to you in Absolution. Fed to you in the Lord’s Supper. Those are free gifts for you, because Christ bore the cost for you. Paid in full. It is finished. You are justified. A Blessed Reformation day to you all. Stay Lutheran, my friends. Vocation and clothing goes hand in hand, or better still, hand in glove. Painters and spotted pants that look like a Jackson Pollock painting. Movie theater shirts with artificial butter flavoring stains. Coveralls coated in dirt, manure, leaves and grass clippings. Doctors and white coats. Nurses and scrubs. Police officers and the badge. Soldiers and their uniform. Astronauts and their helmets. Pilots and their wings. Pastors and their vestments and black shirts. And with few exceptions (such as public evangelism on college campuses), I always wear the clerical. That's right, I'm the man in black. Whatever your vocation is or whatever uniform you have, you can always tell a lot about a person's vocation by what they wear. Every vocation is adorned with some kind of clothing, like a spectrum of colorful feathers. Even in our sin - which brought on the guilt and shame of sin, along with the need for clothing, God dresses his creation in greater array than Solomon in his finest. For if he has clothed the lilies of the field and the birds of the air, will he not also provide for us? Indeed, he does. Even as we are masks of God he masks our guilt and shame by taking that onto himself. Vocation is as vocation wears. 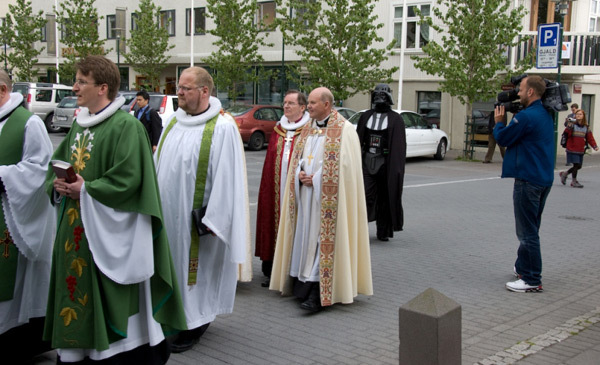 The pastor's vestments aren't just an afterthought or nice decorations. We don't wear them because we think they're pretty (although aesthetic taste is important). We don't wear them because they're always comfortable - most of the time it's hot and stuffy (at least for this son of the Great NW). We don't wear them to feel better about ourselves. In fact it has nothing to do with ourselves at all (even though we occasionally get free parking because of the cloth). Christ must increase and I must decrease. Which is why the Lutherans didn't abandon them during the Reformation either. Although we use them freely - vestments are not commanded as they were in the OT although there is a great deal of typological parallel - there are manifold reasons why churches and pastors can and should continue the use of vestments. Vestments hide the man in the Office, not draw attention to him or his cool new Hawaiian shirt or snazzy suit; undercover pastors . Even brilliant and beautifully crafted vestments don't call attention to themselves but (should draw their attention) rather to Christ and his saving work. 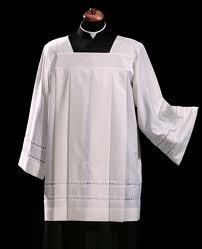 Vestments adorn and signify the Office of the Holy Ministry. Vestments teach us. But above all, vestments point us to Christ's imputed righteousness won for us by his vicarious death on the cross. This is what Dr. Rod Rosenbladt reminded me about yesterday here at Redeemer as he preached an outstanding Reformation Day sermon. "That's why I'm wearing this cassock and surplice," he said. "When I got to this district, the people didn't know enough about Christ's imputed righteousness. So, we wear the black to remind us of our sin and the white to that we're covered in Christ's righteousness, which is not our own; it is a gift of the highest order." Imputed righteous. Declared righteous. Reckoned righteous. The justification of the sinner before God. Imputed means you didn't earn it, deserve it or merit it - not a single bit according to Paul in Romans 1-3. No one is righteous. Apart from Christ we join Adam and Eve in their walk of shame: "Their eyes were open and they realized they were naked." Scripture screams declares time and time again to our old sinful nature: the emperor has no clothes!" But in Christ you get a whole new wardrobe. New threads from the new creation. While we were still sinners, Christ died for the ungodly. We are covered in the wedding garments. We are clothed in Christ. Covered with his righteousness. Imputed. Christ lived the life you couldn't and died the death you couldn't all to dress you in his glorious robes of imputed righteousness. Adam and Eve were clothed with a sacrifice. A righteous substitute. An innocent for the guilty. A death in their place. Animal skins to cover their guilt and shame, sin and death. A bloody type of the sacrifice to come. You are clothed with a sacrifice, the sacrifice: Jesus' death on the cross. He is your righteous substitute. The innocent for the guilty. Jesus' skin covers ours. He takes all of our sin and death and ungodliness and gives us his righteousness, life and holiness in exchange. 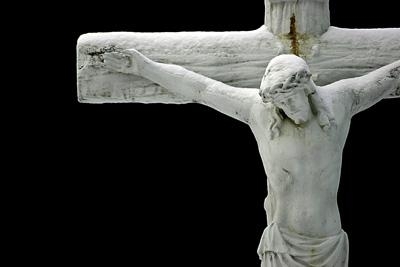 Jesus hangs naked on the cross to clothe us with his imputed righteousness, blessed imputed vestments purchased with his holy, precious blood and with his innocent suffering and death. These are the imputed vestments of your Baptism. Baptism which buries you with Christ Crucified and raises you in his resurrection; He also clothes you with his death. You are clothed in Christ. And that is the greatest vocation and the greatest clothing line of all. Covered in the blood of Jesus. Covered in the death of Jesus. Covered in the water and the blood by the Spirit. And these three agree. "You know, pastor; if there's no music, it's not church." Bella is right. As I was visiting this member she continued telling the story - of how her mother was an instrumental part of the church she grew up and how they had built a new organ and the congregation rejoiced in singing after so many years of musical silence - and I couldn't help but think (albeit briefly since I was there to listen and bring the Word of Christ) how right she was. In one sentence, Bella had orchestrated the entire Scriptures. She had joined the people of Israel shouting for victory beside the Red Sea. She had chanted the responsive prayers of the faithful surrounding the tabernacle. She had sung with the choirs of Levi - enter his gates with thanksgiving and his courts with praise. She was part of the ancient throng - I was glad when they said to be let us go up to the house of the Lord. She sang with Elizabeth and the angels at the coming Messiah with antiphonal joy. She worshiped with angels and archangels and all the company of heaven. Then we read Psalm 118. And though Bella is hard of hearing, there was no doubt she heard the shouts of the righteous - the rushing waters and the roar of the Lion, in her ears - as I shouted the Psalm loud enough to break the barriers of old age. 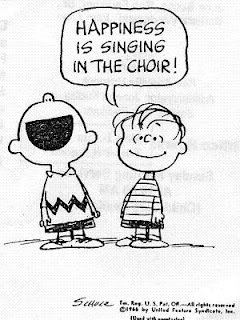 Indeed, "glad songs of salvation are in the tents of the righteous," even when those songs are trumpeted loud enough for the neighbors to hear. Perhaps they too joined in our song. This afternoon, church came to Bella's house. The music may not have been all that pleasing to my ears, but it was to hers. "Make a joyful noise unto the Lord, all the earth...come into his presence with singing;" and if need be, shouting. 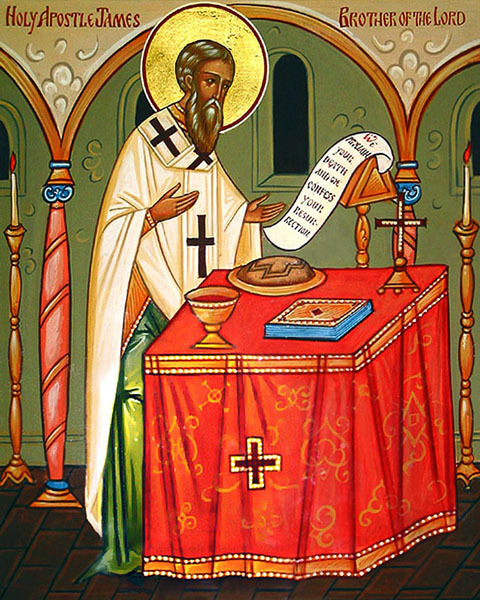 Yesterday the Church celebrated the festival of St. James of Jerusalem, Brother of Jesus and Martyr. Though considered a minor festival by many (and celebrated by even fewer) its significance is multivalent. To begin with, James, like the other saints' festival days (major or minor in man's eyes, it matters not) always point to the major festival of Christ's death and resurrection. James points us to Jesus crucified for you. And in that respect there is no such thing as a minor church festival. Secondly, it is vital to note that according to the Scriptures, James was converted out of his earlier skepticism regarding Jesus' messianic work. He was brought from unbelief to faith (just like the disciples; and the rest of us) by means of Christ's death and resurrection; by means of the proclamation: Christ crucified and risen for you! Before Holy Week, in John 7:3-5, the evangelist records that not even Jesus' brothers believed in him. And then later, following Jesus' resurrection, in 1 Corinthians 15, Paul cites James as an eyewitness to Jesus' resurrected body after Easter Sunday. This will be important when we come back to the correlation of James' eyewitness testimony and the defense of Jesus' resurrection. For now it is important to note the change, namely, the gift of faith brought about by Christ's work and the message he declared as a result of that work: it is finished. His resurrection vindicates his entire messianic work that James had previously doubted and now - by God's grace - had come to believe. This is why Paul cites James as trustworthy evidence concerning Jesus' resurrection. James was a credible eyewitness. And he also declared the good news to Paul as well, news that in turn was passed along to us through Paul. That was James calling after the resurrection: apostle, evangelist, apologist. This brings us to the third point. James was also the bishop of the church in Jerusalem. In Acts 12 Peter recounts his rescue from imprisonment to James and the other brothers (i.e. pastors and members of the council). And in Acts 15 James is instrumental both in hearing Paul's account of the mission to the Gentiles and the Council's response, an unwavering confession that both Jew and Gentile are saved by the grace of the Lord Jesus (Acts 15:11). Perhaps its no accident, then, that the festival of St. James falls so close to that of the Lutheran Reformation, another time in which the church dared to proclaim the gospel: sinners are justified by grace through faith in Christ. And that gift - faith - is the focus of the fourth point. James was also the writer of the epistle that bears his name. Professor David Scaer has called this James the apostle of faith. An appropriate title given that he is sent to bear witness to the faith given to those who bear the name of his brother. James himself is a key witness in his own proposition and declaration - Mercy triumphs over judgment. Indeed, that's what the cross is all about. 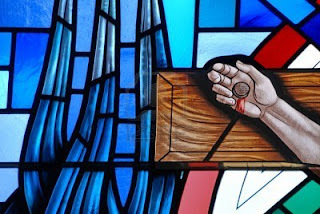 And that's what our Christian life - lived in faith and trust - is also to be like, patterned after the Crucified One, just as James was both in life and death. He is true martyr, both in the common definition - that of one who dies for the faith - and the actual Greek definition - a witness. And that's my last point for this post anyhow. That James is, above all, a witness. A confessor. A herald of the truth. 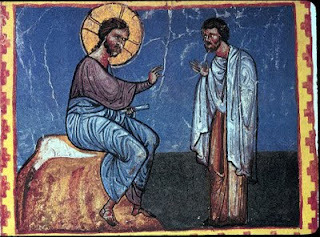 It is here, in James' role as a witness, that we must revisit the vital interaction between James the apostle, bishop, writer, brother of Jesus, martyr and that of apologist. What exactly was it that caused James to go from unbelief - as we saw in John 7 - to staunchly defending, upholding and professing the gospel in Acts? What is the best possible evidence that explains his - and the other disciples - complete 180 degree turn of events? The singular event that shaped the life of the disciples, the church and the cosmos: the death and resurrection of Jesus. Skeptics can deny the empty tomb but the historical evidence - both from respected secular and Christian scholars - agrees that it is one of the most well attested facts of ancient history. Skeptics may - and will - dispute what happened to the body of Jesus after it was laid in the tomb and in the subsequent days leading up to, and including, Easter Sunday. But none of those alternatives are cogent, let alone plausible. When it comes to the skeptics' fabrication that the disciples stole Jesus' body and lied about it in order to gain power, success, followers, etc., the evidence simply does not lead to that conclusion. James - along with the other disciples - had neither the means, the motive nor the opportunity to pull off such a heist. When in fact the hostile witnesses (Jews and Romans in particular) living in and among the first Christians had every means, motive and opportunity to reveal the body if they had one to put on display in Jerusalem. But they did not. But for the sake of argument, let's say the disciples had stolen the body. Then what? In order to win friends and influence people, gain great power, wealth and success, they would have had to pull off the biggest lie in history. It's hard enough for one man to keep the story straight, let alone twelve, let alone 500 (1 Corinthians 15). The process of simple (i.e. truthful communication) is quite clear: event, recollection, particular idea to be communicated, symbols and interpretation by listener. When it comes to the lying witness the process is exponentially more difficult to maintain veracity: event, original recollection, distortion to serve witnesses purpose, comparison with other prior statements of witness, estimate chance of discovery, decision to continue with or revise original story, selection of intended communication, symbols, and interpretation by listener. And all the while, comparison with belief or knowledge by the examiner and comparison for discrepancies is taking place compounding the problem of the lie and making the probability that the lie will be maintained remarkably high. And that sequence has to happen correctly for all the eyewitnesses. The best answer is often the simplest ones: Jesus died and rose just as he said. And for the sake of further argument, let's say the disciples (all of them) were able to pull of the greatest hoax ever. What would they have to gain by it? Absolutely nothing. The alleged fame and riches and followers that would come their way, as described by skeptics, were the exact opposite of Jesus own teaching. Furthermore, Jesus specifically condemned lying as a part of following him. And what would James have gained from this lie? Martyrdom. That's right. The great reward for following Jesus in the 1st century A.D. was the high probability that you would die for the faith. Now, it is true that many men die for lies all the time - the 9/11 terrorists being a prime example. But it is highly unlikely, indeed foolish to conclude that if James and the disciples knew Jesus' resurrection was a hoax, would then go and stake their entire ministries and lives upon that singular claim. Many men die for a lie. Men do not willingly die for something they know to be false. Again, what's the best explanation once all the evidence is in play? A conspiracy theory? No. Aliens stealing the body of Jesus? No. Jesus switching places with Judas? No. The disciples stealing the body? No. None of these follow the evidence. James points us to the evidence. On Good Friday Jesus was dead. Before Easter he was a skeptic. On Sunday he was a believer. Jesus rose from the dead. That single event not only changed the life of James and the disciples, but also the entire world, turning it upside down. And that is why we should number James among the apologists; he is a faithful eyewitness who has handed down to us the things of first importance: Christ died according to the Scriptures and on the third day He rose again for you and for all, Jew and Gentile alike. And as James proclaimed, so let us declare and defend. Popular Apologetics Q & A: What About Those Who've Never Heard the Gospel? In addition to the apologetics posts here on my personal blog, I frequently write for the Brothers of John the Steadfast on Christian apologetics in the column, steadfast in defense. It is a joy to be of service and to share the in electronic company of so many faithful Lutherans who write for the Steadfast Lutherans. Below is a two part answer to one of the recent "Ask the Pastor" segments from the Brothers of John the Steadfast website. The questions are italicized and the answers follow. This fall I’ve been sitting in with the senior youth Sunday school class and last week I filled in as teacher. A couple of times the question has come up about people who never get a chance to hear the gospel or about people of religions similar to Christianity and their salvation. The kids don’t like the idea of anyone going to hell, especially someone who has never heard the gospel. One girl even talked about reading Muslim beliefs and thinking that, since they were similar to Christian beliefs, she had hope to see Muslims in heaven. Are there any BJS articles regarding how to approach this? I think that if we don’t give the kids an answer, they will form their own answer, probably using the world’s opinions about tolerance as a basis. I’m digging in the Book of Concord, but realized the topic could be covered anywhere or not at all. Let’s take this question in two parts. When it comes to the first question – “What about those who never heard the gospel?” – there are several answers people have given. Some have attempted to answer the question by saying that eventually all people will be saved when it comes to the final judgment, regardless of whether they had faith in Christ or not. This is different from the Scriptural teaching of universal grace and objective justification because it also ignores Scripture’s clear teaching on hell and eternal condemnation for those who reject the gospel. The Universalist has no problem answering this question. In fact this isn’t even a question for them. What happens to those who haven’t heard the gospel? According to the Universalist, they’re saved, simple as that. This is where the so-called “righteous pagan” argument often comes up. Clearly the Universalist hasn’t read Romans 1-3…no one is righteous, no not one. Still others have swung the theological pendulum the other direction and answered the question by saying that God has predestined from all eternity those who will be saved (the elect) and those who will be condemned (the reprobate). This is known as double predestination and was taught by John Calvin and later intensified by his followers, including the infamous five points of Calvinism (TULIP). Within this theological system, there is no need to ask or answer this question either. According to strict Calvinists, it matters not if the person has heard the gospel at all, but rather, whether or not they have been predestined to heaven or hell. Problem is, none of the aforementioned examples are revealed in, or supported by Scripture. Most of man’s attempts to answer this difficult question apart from the clear Word of God fall into some kind of system of works righteousness. This is how we operate by our default setting, run to the Law. Look to our works, ourselves and somehow God will favor that. The Universalist will argue that people get in, in part, because man is essentially good. The Calvinist will argue that the only way to know if you are one of the elect is by looking at your good works. Either way, the Christian is turned inward on the self, which is always a dangerous spiritual position. And yet people across the religious spectrum argue, “But it’s simply not fair; how could a loving God send all those people to hell just because they were born in the wrong place at the wrong time?” Our sense of fairness is quite different from God’s. We think of fairness in terms of what we deserve. You work; you get paid. Quid pro quo. Don’t work; you don’t get paid. But if we take Scripture’s teaching on sin seriously, no one deserves salvation. If God were fair according to our rules, no one would be in heaven. And yet it’s exactly the opposite. Christianity preaches outrageous forgiveness for undeserving sinners. Christ dies for the ungodly. Jesus reckons his righteousness to our account, not because we deserve it or have earned it or because it’s fair, but simply and exclusively by Christ’s death on the cross on our behalf. Thank God he isn’t fair! 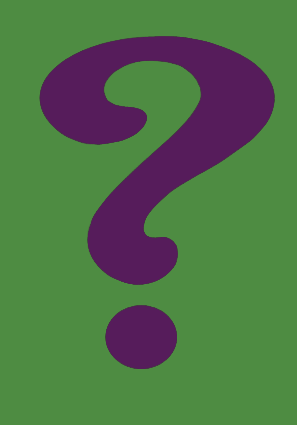 Before giving people an answer to this question, perhaps you should start with the best reply possible: “Why do you ask?” I’ve been asked this question on numerous occasions. And frequently the reason people ask is that many people want to hold out some kind of hope for those who have not heard the gospel. In Romans 1-2 Scripture clearly tells us that man’s natural knowledge of God is enough to condemn. But natural law is not enough to save. The God revealed in the book of nature is powerful and omnipotent and the creator. But man knows no Savior or salvation through natural law – the Law always accuses.The Law shows us our sin. The Gospel shows us our Savior. And for divine rescue and redemption, we must flee to the Gospel, to Christ’s death on the cross in our place and to His revealed Word in the Word made flesh. For faith comes by hearing and hearing by the word of Christ (Romans 10:17). Now, when it comes to the hidden will of God, we may be tempted to say, "I don't know." But when it comes to the hidden will of God, the best we can hope for is wishful thinking and the worst is the Law of a wrathful God. 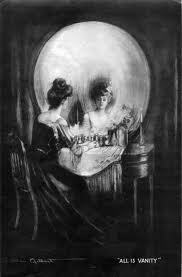 Either way, looking into the hidden will of God for an answer to this or any other question will yield only ghosts. Or, as my youth kids like to say, "don't go there." "I don't know" breads uncertainty in the gospel and for that reason the hidden will of God is no place to look for answers here. Instead, go to the cross. Flee to Christ. Look not into the hidden mysteries of God but into the mysteries of God revealed on the cross. 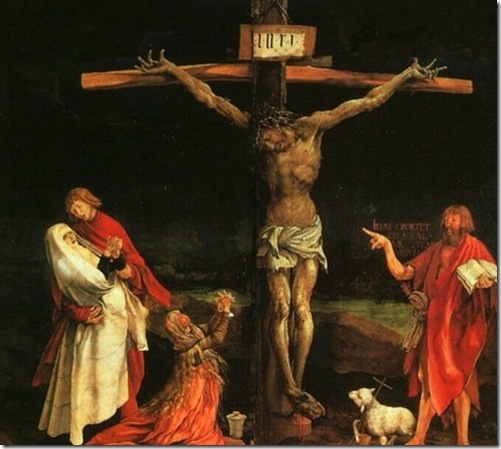 Look to the glory of the Crucified one arrayed in blood for us men and our salvation. That is the only way to know whether we are saved or not. Look to your Baptism. Look to the Word. Look to the Absolution. Look to the Supper. We can only say as much as Scripture says, no more, no less. In summary, if we’re in heaven, Christ gets the credit; if we are in hell, it’s our own fault. When it comes to answering this question, don’t run to the Law. But take refuge in the gospel. Lean on Christ’s mercy. And search the Scriptures. All people are sinners (Romans 3:23). The penalty of sin is death – eternal separation from God (Romans 6:23). Christ died to pay the penalty for the sin of the whole world (John 4:42; 1 John 2:2; etc.). People are saved from eternal judgment when they put their trust (“believe”) in Christ’s death on the cross for their sin (John 3:16; 5:24; 6:47; Acts 16:30,31; Ephesians 7:8,9; etc.). Not all are saved; those who reject Christ’s payment for sin will eternally endure God’s wrath on sin in hell (John 3:18,36; Revelation 20:15). God has put within people a basic awareness of Himself and of the requirement to do right (Romans 1:19,32; 2:15). God has revealed Himself (as eternal, as all-powerful, as good, etc.) to all by means of the created world (Romans 1:20). Jesus said to him, I am the way, the truth and the life, no one comes to the Father but through Me” (John 14:6). “There is salvation in no one else…no other name under heaven…by which we must be saved” (Acts 4:12). God desires that all men be saved (1 Timothy 2:4; 2 Peter 3:9). Thus, in the fullness of time (Galatians 4:4) the Word became flesh (John 1:14) in order to suffer, die and rise again (Mark 10:32-34) undoing the sin of Adam and bringing salvation to all through his death (Romans 5:12-21). Furthermore, Jesus has clearly told us to take the Gospel to those who have not heard, and He told us to be ready to give an answer for the hope that is within us (1 Peter 3:15). God has revealed a great deal to us in Scripture. In particular, he has revealed for us the command to spread the gospel to the ends of the earth (Luke 24:45-49; Matthew 28:16-20). And he has given us the clear promises of life and salvation in his name that faith comes by hearing and hearing by the Word of Christ (Romans 10:17), that his Word does not go out and return void but does what he accomplishes (Isaiah 55:10-11) and that he is with us always (Matthew 28:28). Hopefully this has helped address your question as much as we are able to answer it. I also recommend listening to an interview on Issues Etc. by Pastor Joel Baseley on this very topic. You can follow this link here to find it in the archives or listen to the podcast below. Regarding the second question – “Are Christian and Muslim beliefs similar and will we see Muslims in heaven? – we must begin by addressing this with a little bit of logic. In fact, the one thing that all the world’s religions actually have in common is their mutual incompatibility. Islam and Christianity cannot both be true. They both could be false, but they cannot both be true. Here we apply the law of non-contradiction: “A” cannot equal “not-A”. Islam and Christianity both say mutually contradictory things about the nature of God, man, salvation, Jesus, etc. Let’s take just one example: Muslims believe and teach that Jesus was not God, did not die on the cross and did not rise from the dead. The Christian claim is exactly the opposite. Christ not only claimed to be God but vindicated this claim by suffering, dying on the cross and rising again three days later. Jesus is in the best possible position to save you and I from sin, death and the grave since he has alone has done something about it. 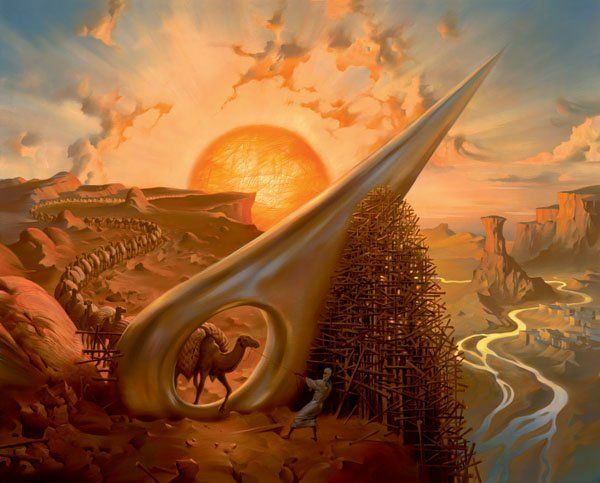 The question is, what evidence is there for any religious position to be true? And in this case, Christianity comes in clear response with overwhelming evidence that Christ lived, died and rose again in human history and he did it for you. Check out any number of the articles in the Steadfast in Defense category for some recent articles that teach the defense of the Christian faith, also known as Christian apologetics. But does that mean that there will be no Muslims in heaven? Well, that depends on your definition of Muslim. If, by Muslim you mean, those who have followed the teachings of Muhammad and the Qur’an, the answer, according to the Bible is no. But, if we mean Muslims who have converted to Christianity, then yes. Thanks be to God for the grace and salvation already brought to countless Muslims who have come to faith in Christ and have been rescued from the terror of judgment and death by Christ’s death and judgment on the cross. Sermon for 21st Sunday after Pentecost: "Mission Impossible"
Words that cause everyone to wrestle: the rich man, the disciples, you and me. But pastors aren’t alone. You’re at war within yourselves too. On the one hand you’re thankful for your earthly blessings. The catechism calls these first articles gifts. And gifts they are. Gratitude and praise abound. And yet you forget the Giver and only look at the gifts. We worry. We doubt. We covet. 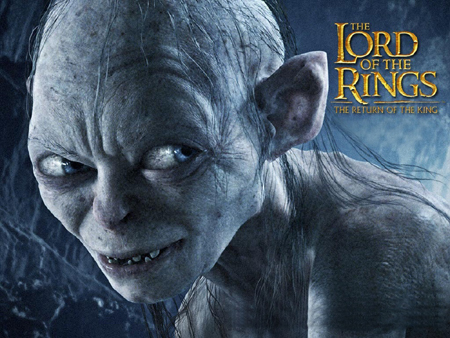 We hold onto our wealth like Gollum in Tolkien’s Hobbit and LOTR. “No, you can’t have it. It’s my precious.” Our hands and hearts are a locked in a death grip. Children, how difficult it is to enter the kingdom of God! It is easier for a camel to go through the eye of a needle than for a rich person to enter the kingdom of God. But we’re not alone. According to Solomon, “Everyone to whom God has given wealth and possessions and power to enjoy them…this is the gift of God.” Wealth comes from the generous hand of God, Solomon says. And yet Ecclesiastes also warns that wealth and possessions are vanity, emptiness, meaninglessness, dust in the wind. Solomon ought to know. He was the richest man in the world at his time. The envy of all the rulers around him. 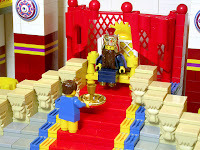 Even the Queen of Sheba paid a personal visit to see his collection. He could buy anything, do anything, go anywhere. 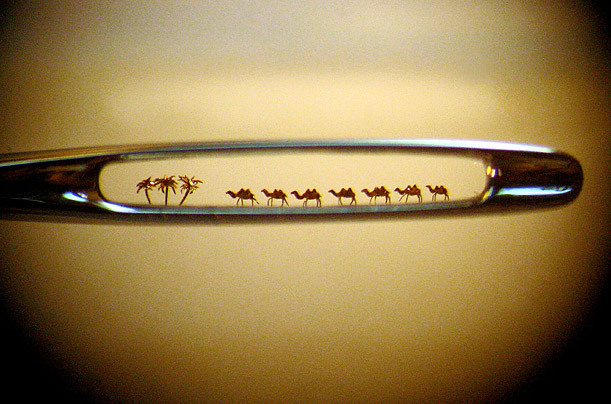 He had gardens, houses, Egyptian horses, a harem of over 900 wives and concubines. But it was all vanity, meaningless, consumptive. Jesus’ words shocked and astonished the disciples. We get that. Jesus went right for our gods: riches and religion. In Jesus’ day – much like ours - wealth was admired and sought after. It was considered a sign of God’s blessing. When you “counted your blessings,” the more you could count, the more God had blessed you. By the way, beware of preachers today who proclaim this kind of false gospel. It’ll leave your bank account and your faith in ruins. How do you resolve the tension? Should we empty our bank accounts, sell all we have and take a vow of poverty, live the monastic life in order to get right with God? Many have tried. Truth is, neither riches nor poverty will save you. The problem isn’t wealth but sin. Sin corrupts everything including your enjoyment of the good things God gives us. He blesses you; gives you a little joy, and you turn around and make it into an all-consuming idol that robs you of every last ounce of joy in your life. Luther teaches us that whatever you put your trust and security and hope in, that’s your god. Problem is, the riches and wealth are temporary, fading. So whether its riches or your own self-righteousness, it’s a poor god to fear, love and trust in. Jesus’ teaching makes us squirm because our love of “stuff” and our love of self is exposed. We’re afraid. We doubt. We covet. We sin. All of this has to go. None of it’ll fit through the eye of the needle. His warning about riches is for our good. There’s always danger in clinging to our stuff; danger in always wanting and accumulating more to the point that we don’t fit through the narrow door of the kingdom. The currency of the Kingdom of God isn’t found in our riches or our righteousness, but in Christ’s righteousness. It’s not only difficult for one who trusts in riches or self-righteousness to get into heaven; it’s impossible. Salvation isn’t a transaction. Book-keeping doesn’t work in the Kingdom of heaven. It’s salvation by ransom, reversal, exchange. Jesus gives you all of his righteousness and he takes all of your sin. The last are first. The Losers are winners. The poor in spirit inherit the kingdom. The ungodly are justified. Scandalous. Outrageous forgiveness! What about your wealth? What do you do with it? Solomon says, “Enjoy it while you have it. Enjoy your work and wealth. These are gifts from God.” After all, “We bring nothing into this world from our mother’s womb; we take nothing out of this world. The wealth that promised us happiness and security instead causes us anxiety, sickness, and anger. That’s the difference between the true God and false ones. False gods consume their communicants. In Christianity you feast on Jesus. The true God gives you His body and blood to consume for your forgiveness. And to the world, the disciples, the rich man and us, this is Jesus’ most astonishing teaching: that your salvation doesn’t come from your good works or riches…or even out of God's surplus. Nor God's riches. Nor God's greatness, but from his poverty. Only when God gave all of it up. Gave up the glory and riches and honor. As Jesus came from his mother's womb he went again, naked as he came; he took nothing for his toil that he may carry away in his hand." Born into nothing. Died with nothing. And from that nothingness comes your salvation. Jesus discarded everything, came to suffer, bleed, and die for you, taking you back through the eye of the needle with him. He takes your guilty, lying, coveting, greedy, rebellious sinful nature all the way to the cross and wrestles your sin to the grave. His life and blood, drained in order to fill the chalice with eternal life. His side, pierced in order to flood the font and bring you through the eye of the needle into paradise. With Christ in the center, wealth takes its proper place, as servant, not master. Freely you have received. Freely give. Serve the neighbor. Provide for your family; live in your vocations. Remember the church: Evangelism, Youth Group, Preschool, Hispanic outreach, the Music Academy, campus ministry, Gospel Seeds, homeless care – these are just a few ideas here at Redeemer. The Church is where you receive that hundred-fold Christ talked about. A Heavenly Father. A new family and a new home, Christ’s body, the Church. Jesus feeds and nourishes you with his body and blood. In this life, if you have plenty, rejoice, enjoy and share the joy with those in need. And if you’re in need, rejoice that your life is free from the clutter of wealth. That’s why St. Paul says, “I’ve learned in whatever situation I am to be content. I know what it is to be abased and to abound. In any and every circumstance, I have learned the secret of facing plenty and hunger, abundance and need. I can do all things through Him who strengthens me.” To be content is to have your heart at rest in Jesus, and through Him to receive all things as gift from the hand of God. Hold everything with the dead hand of faith, enjoy it while you have it; you can’t take it with you. Live, work and play as free men and women in Christ. Enjoy the food on your table, the wine or beer in your glass, the work God has given you to do each day. These are His gifts to you. Hold them loosely and they won’t hold you. Remember, your joy comes not from the gifts but from the giver-God who gave them. In Christ your wrestling is over. For with man it is impossible, but not with God. In Christ, all things are possible. For Jesus can, has and will do the impossible for you. Something’s missing. You know the feeling. Frantic searching. Turning couch cushions and doormats upside down. Tossing papers like confetti. Running around on hands and knees, out of breath. And finally, there is it. How did you ever miss it? It was right in front of you the whole time. That’s where we find this rich young man in today’s Gospel reading. He was missing something too. Otherwise he wouldn’t have come running up to Jesus and knelt at his feet and asked: Good Teacher, what must I do to inherit eternal life? We know he’s wealthy because of Jesus’ comments later on as the discussion progresses. So what could a rich young man possibly be missing? He had everything he could ever want; he could do whatever he wanted. Possessions. Wealth. Status. He had it made. He could have anything that money could buy. He was the model citizen, the kind of guy a Pharisee’s daughter would’ve brought home. He had all the riches and he was religious too. His religion was man’s religion, old Adam’s default setting: do it yourself religion. The good and bad you do are measured by a checklist. Or a punch-card. Or better yet, a transaction, something this wealthy man would’ve been more familiar with. “What must I do to inherit eternal life?” “Perhaps Jesus could give him some secret techniques for making a spiritual profit just as there were for making a temporal one." [Capon - Kingdom, Grace, Judgment, 383]. He had it all, possessions and piety. And yet, riches and religious weren’t enough to address that nagging doubt in the back of his mind that something was lacking in his life. And how does Jesus answer the man’s question? He plays along with the rich young man’s game. You ask a Law question; you get a Law answer. After all, since when do you do something to receive an inheritance? You don’t. It’s a gift. Someone dies and names you as an heir. That’s how you inherit. It’s not by doing but by grace. By being in the favor of the one who died and left you the inheritance. Jesus answers the man accordingly, giving him a brief catechism review along the way. You know the commandments: Do not murder. Do not commit adultery. Do not steal. Do not bear false witness. Do not defraud. Honor your father and mother. Jesus goes right down the second table of the Law, you know, the ones that deal with you and your neighbors. "Teacher, all these I have kept since my youth." And how does Jesus answer that? I know how I would’ve responded. Huh, yeah right. Kept the commandments? Try again. There’s no way you’ve done any of those things, let alone perfectly. The Law always leaves us with something that we didn’t do, some place where we could improve. And while we’re busy keeping score and pointing fingers at who’s the greatest sinner of all, Jesus goes to the heart of the matter. Notice how Jesus does it: looking on him, he loved him... Don’t overlook those words. Jesus doesn’t love him because he’s kept the commandments. But in spite of his attempts to do so. Jesus loves isn’t based on a transaction or what we’ve done or left undone. Jesus spoke in love to kill the gods of riches and religion that he clung so dearly in order to give him the one thing he was truly lacking: Jesus. Jesus is a jealous God; you cannot serve God and mammon; God and yourself. But he is as jealous for you as he was for that rich young man. He wants you to be his own and be in his kingdom, no matter what the cost to Himself. He’s willing and able to pay it. Jesus is in the business of clearing out whatever gets in the way of your following Him through death to eternal life. I wonder. What would Jesus say to me? What’s getting in the way of my following Him? My ego? My pride? My stuff? My sin! What would He say to you? Looking on you in love, wanting you to be His own, embracing you in His death and life, what do you suppose He would say to you? What is it that gets in the way of your hearing the Word, of your receiving forgiveness, of your following Jesus as He leads you through this life, through your death, and on to your resurrection to eternal life? What is the junk that is getting between you and Jesus? Who or what is it that you, or your family, or your congregation fears, loves and trusts above all things? What is it that you set your heart on for financial security, emotional support, physical safety? It could be anything, really. Our hearts are capable of turning any good gift into an idol. Whatever it is, it sure isn’t worth hanging on to, is it? In a way, Church is like Jesus’ rummage sale. 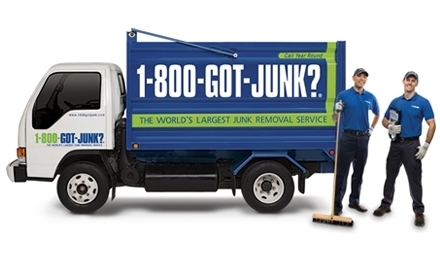 All your junk. All your sin. All that clutters your heart and mind; all that stands between you and Jesus. Everything has to go. You can’t take it home with you; it’ll bury you. So leave it here with Jesus: your sin, your guilt, your death. He wants to take it from you. He has taken it all from you upon himself, nailed it to the cross and buried in his tomb. Your debt is paid; you have been ransomed by His blood. And you can’t have your sins back, not over Jesus’ dead body. Because Jesus will not let anything - not sin, death, Satan the grave stand in His way of saving you. That’s what it means to follow him. 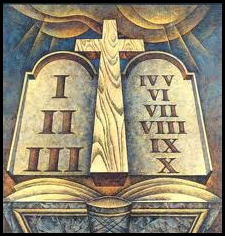 Not to keep a perfect checklist of all the commandments you’ve kept. That’s a sad, losing game, just ask the rich young man. No, following Jesus means to die and rise with Jesus; to lose your life of self-righteous pride and find true righteousness in Jesus’ blood; to become last in order to be first; to be poor in spirit yet inherit the kingdom of heaven. This is what it means to live in your Baptism. Daily dying and rising. Daily we hear those words: “follow me.” It’s not a to-do list; it’s Jesus leading you to his Word. Follow me. Jesus leading you to pardon and peace in absolution. Follow me. Jesus leading you to eat and drink his body and blood. Follow me. Jesus leading you to the poor in love and mercy. What must I do to inherit eternal life? Jesus‘ answer: Follow me. You almost miss it, don’t you? The young man did. All he heard was that stuff about selling everything and giving the money to the poor – another commandment, and one he couldn’t keep. But he missed the answer to his question. What must I do to inherit eternal life? “Follow me.” Follow Jesus. Those were the words spoken to the fishermen and the tax collector Matthew. “Follow me.” It’s more than an invitation. Here was the answer the young man was searching for. He lacked one thing. In all his riches and all his religion and all his commandment-keeping, he lacked one thing. And that one thing was not poverty; it was Jesus. He lacked Jesus and faith in Jesus. And Jesus was offering Himself with the words “follow me.” And whatever got in the way of following Jesus had to go. Don’t let your riches get in the way of Christ’s riches. Don’t let your works get in the way of Christ’s work. Just like the rich young man. No wonder Jesus Prunes. Rummages. Strips. And kills our old Adam. 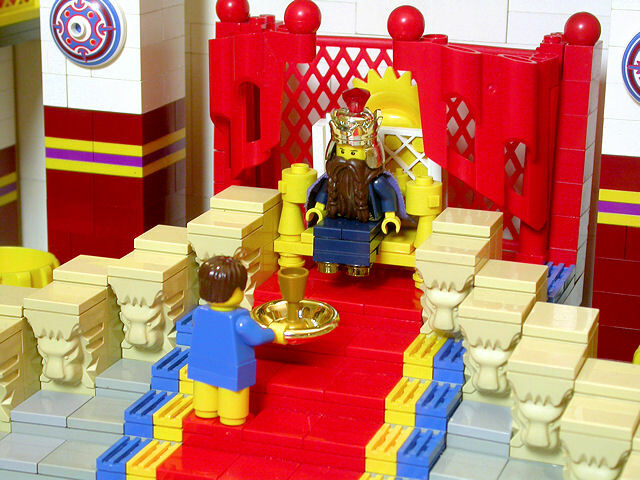 Dethrones our false idols and puts a King, crowned in glory on the cross, in its place. For there on the cross, Christ gives up everything to be your King, your Savior, your Redeemer. By his poverty you have become rich. By his death you are given life. By his suffering on earth you are given treasure in heaven. For that is what the Kingdom of God is: inheritance. Gift. And it’s given by the King, who makes you heirs by his death on the cross. The currency of the Kingdom of God cannot be purchased by gold or silver, by status or wealth, by poverty or piety, but by the holy precious blood and the innocent suffering and death of Jesus. So what happened to that rich young man? He went away downcast, Mark says, for he had great possessions. But what happened next? Did he go home take a look around at all his stuff and say, “He’s right, this is absolute vanity. It’s all rubbish. It just gets in the way and I can’t take it with me anyhow.” Maybe he packed it all up and dropped it off at Goodwill and ran to catch up with Jesus on the road. Maybe he joined the church later and was baptized. Some scholars, and I'm inclined to believe them, say this was Mark, telling his own story. How else would he have known that Jesus loved the man? At any rate, we just don’t know. Mark is a good storyteller that way. We’re not told the end because he wants us to read ourselves into the story. Will you leave sorrowful? Or will you see that what you seek was right in front of you the whole time: Jesus speaking to you in his Word. Jesus forgiving your sin with a word. Jesus baptizing you in his death and resurrection. Jesus feeding you with life and salvation. Whatever it is that you lack; whatever it is that you need whatever peace and comfort you seek. You won’t find it by following the rich young man. But you will find it in Jesus, just as he has promised. For your inheritance, and all that you lack is found in Christ Crucified.